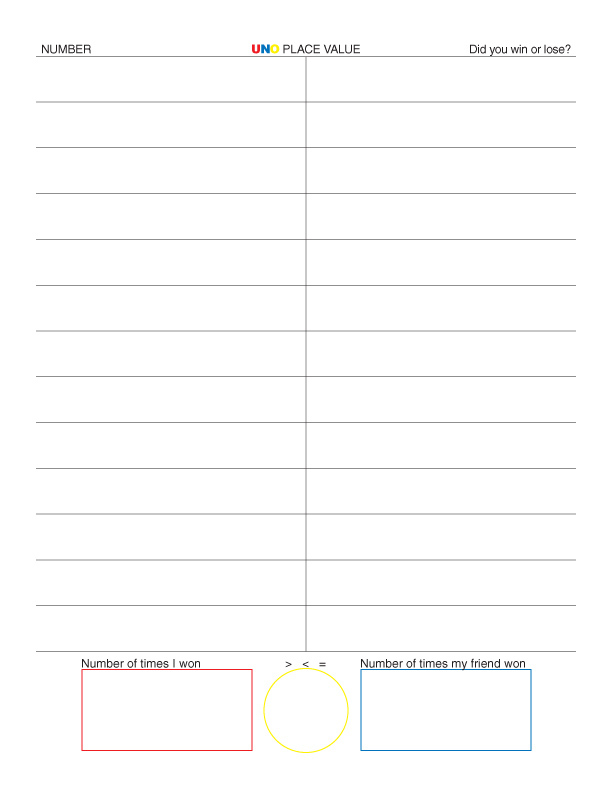 2 player game for a math station. Players take turns pulling a task card from a basket and reading it. They both pull uno playing cards from a face down deck and follow the directions the task card states. They lay their uno cards on the playing mat and build a number. 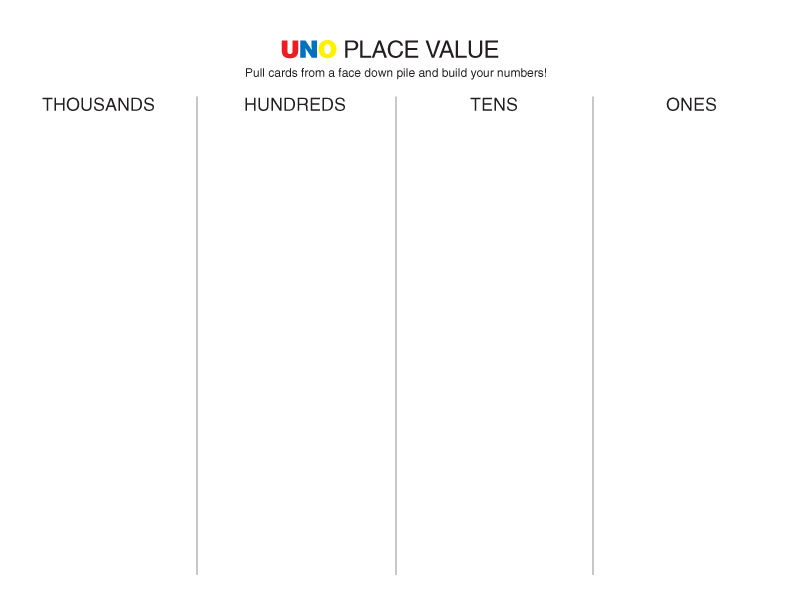 Kids decide where to place each uno card (in the ones, tens, hundreds, or thousands). Next, they write their number on the recording sheet. Then, they determine who won by what the card asked them to build. 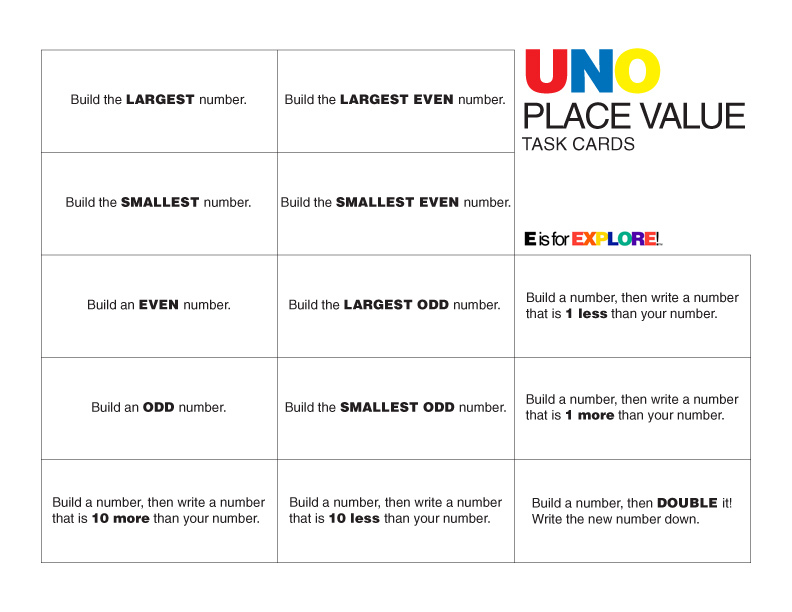 If it said build the smallest number, the player with the smallest number wins. For the cards that say one more, one less, ten more, ten less, and double, both players win if they answer correctly. When kids are finished playing, they count up their total number of wins for the game. Then, they write their number in a box and their partners in the other box. They use greater than, less than, or equal to symbols and determine who the overall winner of the game is. Hi, This is my first time on this site. It has so many super ideas, but I can't really tell how to access them. Can they be downloaded, purchased, or printed? If I have to recreate what is already done it isn't really a time saver so there must be a way. Please advise. Thanks! Save the images to your desktop and print! Images are 8.5x11 and have 1/2 inch margins.